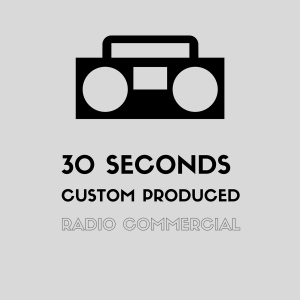 Up to 30 seconds, Dibblebee will voice and produce a radio commercial with your script. Listen to the demo. 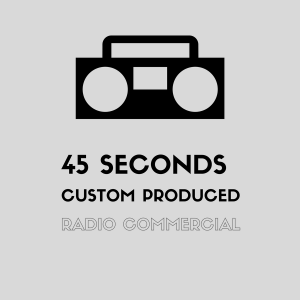 Up to 45 seconds, Dibblebee will voice and produce a radio commercial with your script. We can write a script for you. Tell us energy level required.